SAN JOSE, Calif. -- It may become illegal for humans to take the wheel once self-driving cars have proven themselves, Tesla Motors CEO Elon Musk said at a conference here. Musk made his remarks alongside Nvidia CEO Jen-Hsun Huang, whose company supplies Tesla with high-powered processors. The Tesla Model S uses one of Nvidia’s chips to power its instrument cluster and another one to power its 17-inch navigation screen. Across the auto industry, established automakers such as Audi, Mercedes-Benz and Nissan are racing newcomers such as Google Inc. to develop cars that steer themselves by using cameras to scan the outside world. Nvidia announced during the International CES technology convention in January that it plans to sell a purpose-built automotive computer for autonomous driving using its Tegra X1 chip. The computer, known as Drive PX and due to go on sale in May, has 12 inputs for high-resolution cameras. 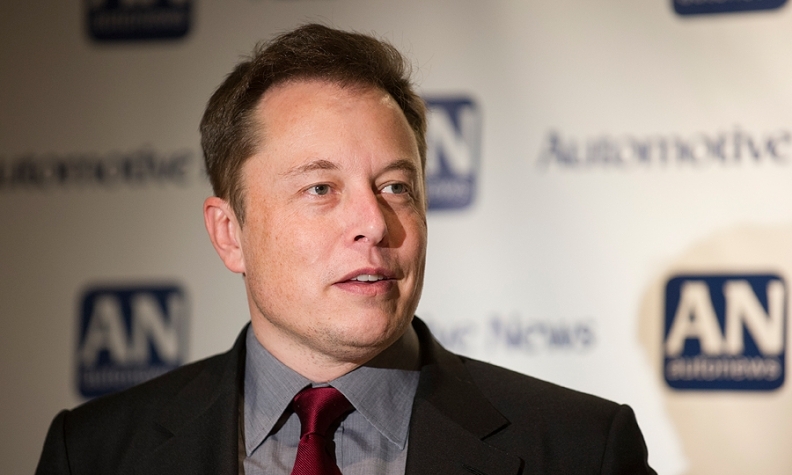 Musk said that Tesla is looking for talented engineers to aid in its effort to improve autonomous driving technology. Last year Tesla started selling Model S sedans with cameras and sensors for a sophisticated version of cruise control, called “autopilot.” He said he is confident that the technology will quickly advance to take greater control of highway driving.